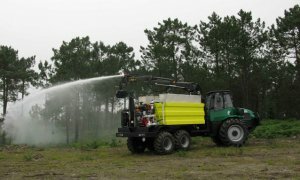 Fire fighting vehicle - Dingoma S.A. 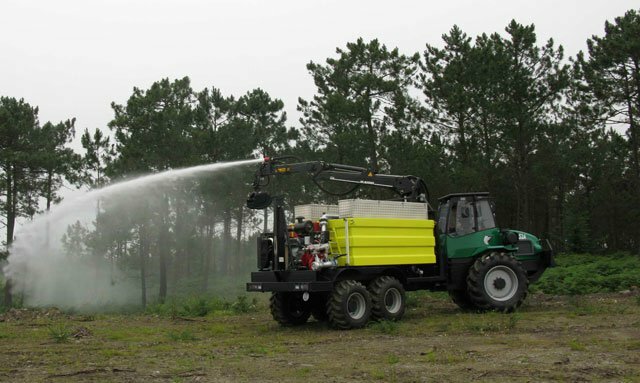 The forest fire fighting DINGO vehicle is adapted to fight wildfires. 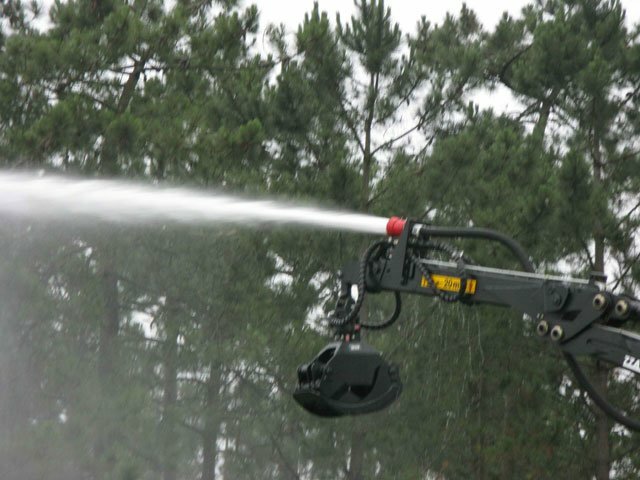 The vehicle has locks on all its axles (front, rear and total), incorporating stabilizer cylinders and a telescopic crane, which incorporates a hose that can throw water within a range of 70 meters. 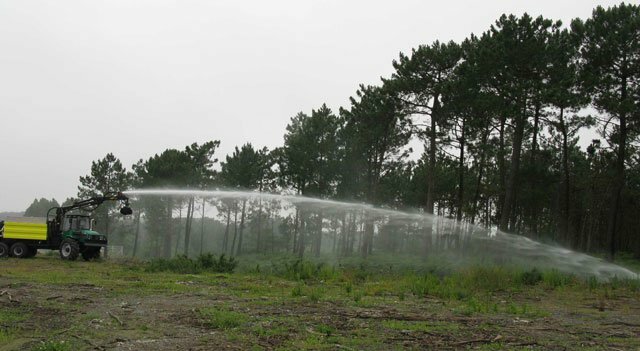 The discharge can be performed in continuous flow mode or using a diffuser; all this is done from the cabin of the vehicle, providing comfort and above all, safety to the operator. 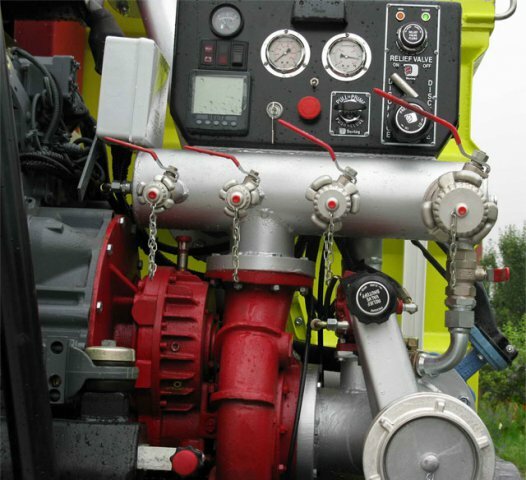 The firefighting equipment can work autonomously. It incorporates a 200 HP engine that provides the power needed for its suitable performance. The fluid discharge is done in just three and a half minutes. Water tank of 7,000 liters entirely built in AISI 304 stainless steel with screens. Longitudinal and transverse breakwater. Connection to the frame through silent-blocks. Two side mounted valves of 2" to fill the tank. Elastic connection to pump suction.